According to 9to5Google, who apparently got confirmation from a Google spokesperson, Verizon gets to handle major system updates (aka the big ones) for the Pixel and Pixel XL that it sells. 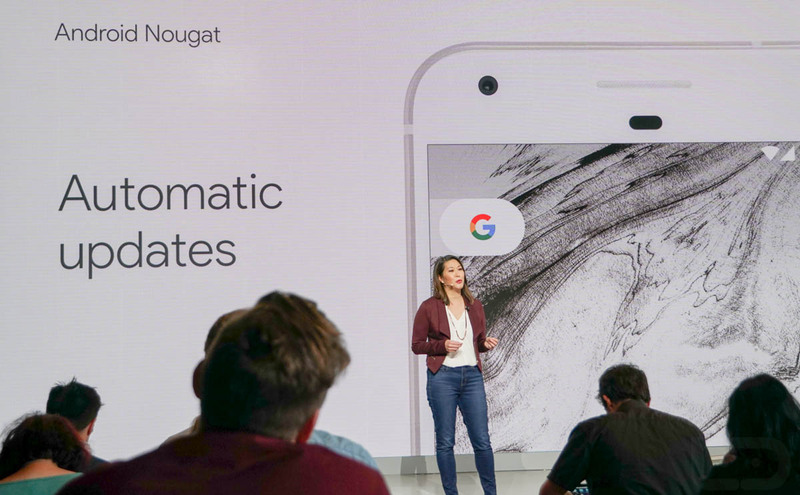 Google, on the other hand, will continue to push out monthly security updates to them, while also handling major system updates for the unlocked models. ‘Monthly security updates will come from Google (for all models), and system updates will be managed by Verizon for Verizon models, and Google for unlocked models bought from Google Store. We don’t know if that means ridiculously slow updates for Pixel phones sold by Verizon, but history tells us to expect just that. So, folks, if you want the fastest updates, we would suggest that going with the unlocked version that Google sells through the Google Store is going to be your best bet. After all, the unlocked version works on Verizon and is available with financing if that’s how you need to buy it. UPDATE: Verizon has chimed in and said that they will release big system updates at the same time as Google. More here.